American Masters – Janis: Little Girl Blue premieres nationwide Tuesday, May 3, at 8pm on KQED as part of the 30th anniversary season of THIRTEEN’s American Masters series. The broadcast features a never-before-seen extended film cut with additional archival performance footage and new interviews with Joplin’s sister Laura Joplin and musicians influenced by Janis: Alecia Moore (a.k.a. Pink), Juliette Lewis, Melissa Etheridge and the film’s narrator, Chan Marshall, who is best known as indie rock star Cat Power. Sound like music to your ears? Then there’s more good news. Ten lucky winners will win a copy of the film’s soundtrack featuring 17 essential live performances, vintage photos, reproductions of letters written by Janis and liner notes by Director Amy J. Berg. To be in with a chance of winning, just send an email to giveaway@kqed.org with the subject “Janis” that contains your full name. 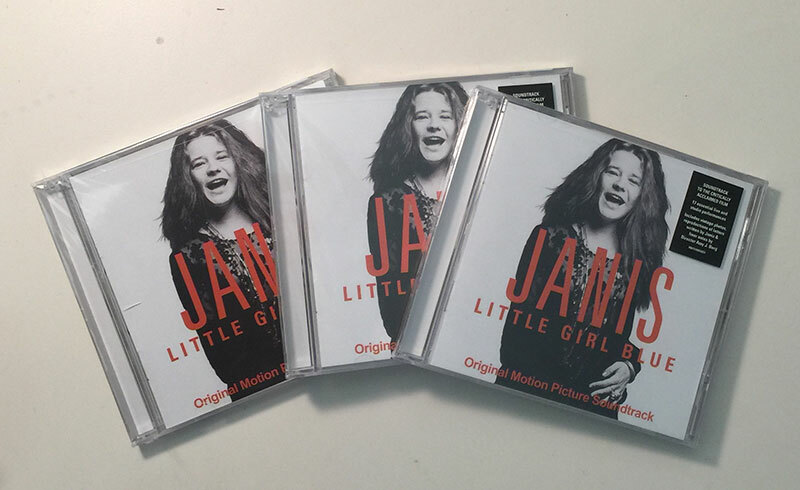 From all entries we’ll randomly select ten winners for a copy of the original motion picture soundtrack for Janis: Little Girl Blue (worth $9.59 each) Deadline to enter is Tuesday, May at 3 11:59 pm. Winners will be notified by e-mail on Tuesday, and CDs will be mailed to the address provided by winners. You must be a California resident and 18 years or older to participate. Employees of KQED are not eligible to enter. Prev WIN: Tickets to The Moth in Berkeley! Next FLASH GIVEAWAY: Enter to Win Tickets to See Los Lobos and Los Cenzontles!